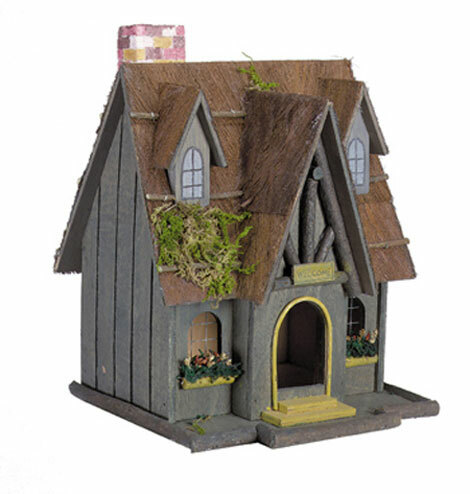 Welcome to our page of products for your garden. We have a wide variety of items here to choose from. Please enjoy your visit and come again. Thank you. 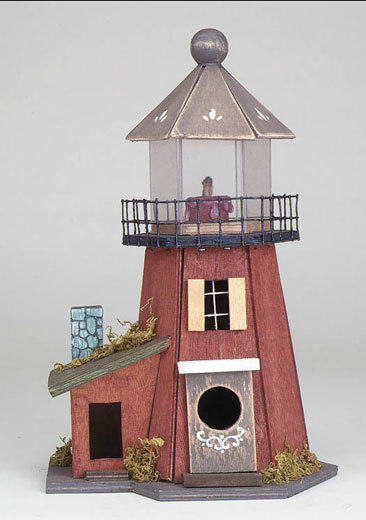 Painted in Pennsylvania Dutch style and sporting a two-tiered walk, this lighthouse birdhouse is a perfect place for love birds to begin their new life. 7 1/4" x 5 1/4" x 12 1/4" high. 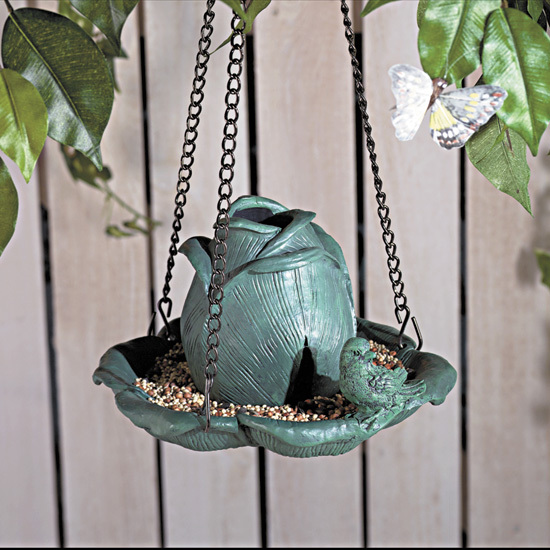 A beautiful sunflower with a hummingbird, bird feeder, alabastrite. 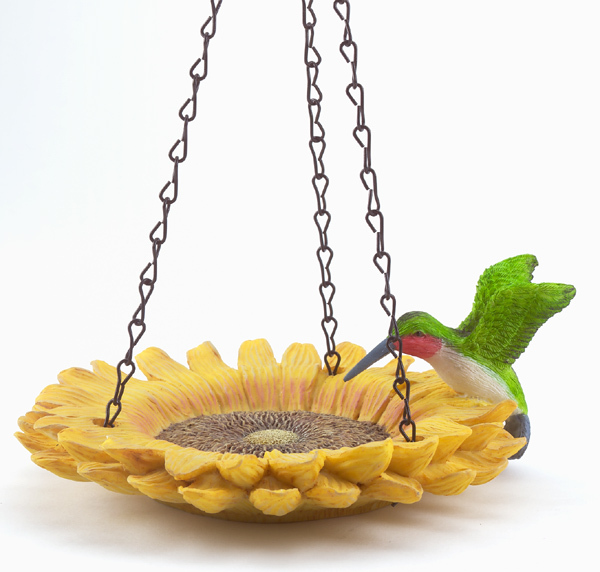 Flower is 7 1/4" in diameter, hummingbird is 2 1/2" high, 12" chain. 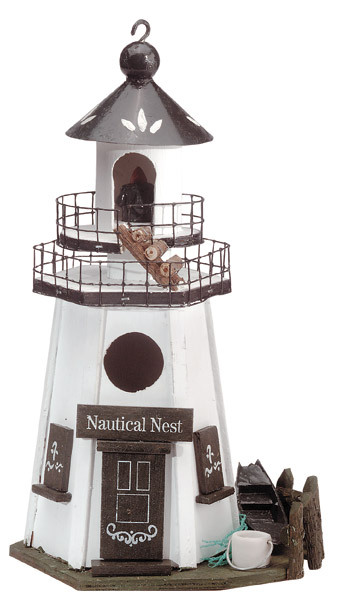 This lighthouse style birdhouse will be a safe haven from a nor easter. With plexiglass window and simulated(non-working) candle it's a fine example of woodworking craftmanship. 7 1/4" x 5 1/8" x 11 1/4" high. 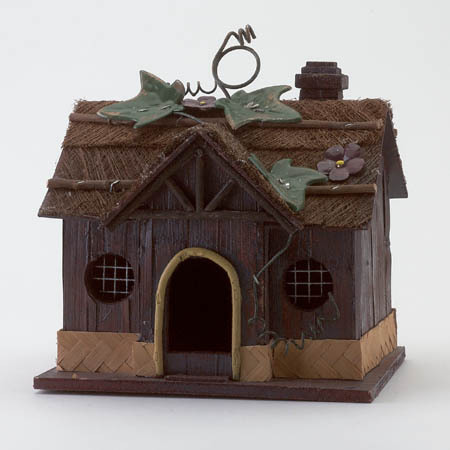 A cute cottage with a 2 1/8" x 2 7/8" door, this delightful birdhouse with thatched roof, chimney and flower boxes will be a welcome addition to many different birds in your garden. 9 3/4" x 9" x 12 1/2" high. 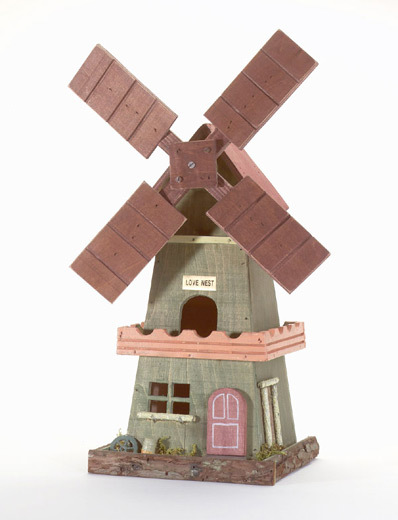 When the breezes bring in your feathered friends for a visit, this windmill birdhouse is a perfect place for them to set up a love nest. 7 1/4" x 7 1/4" x 13 1/2" high. 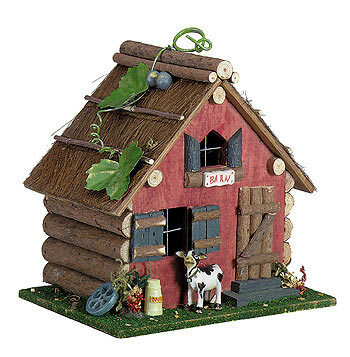 Old mcdonald had a farm and a barn shaped birdhouse too. 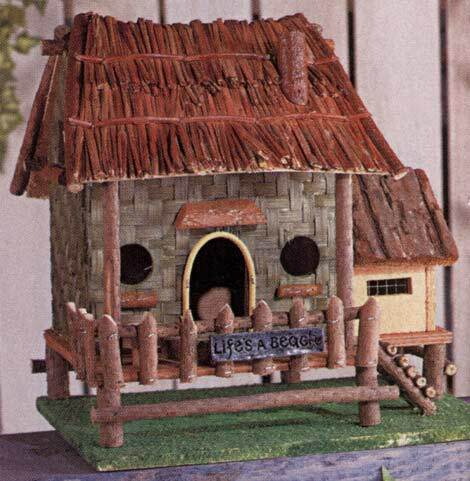 This rustic home for feathered friends has a barn sign, cow, milk can, wagon wheel and a 1 1/2" diameter side door. 8" x 5 5/8" x 77/8" high.